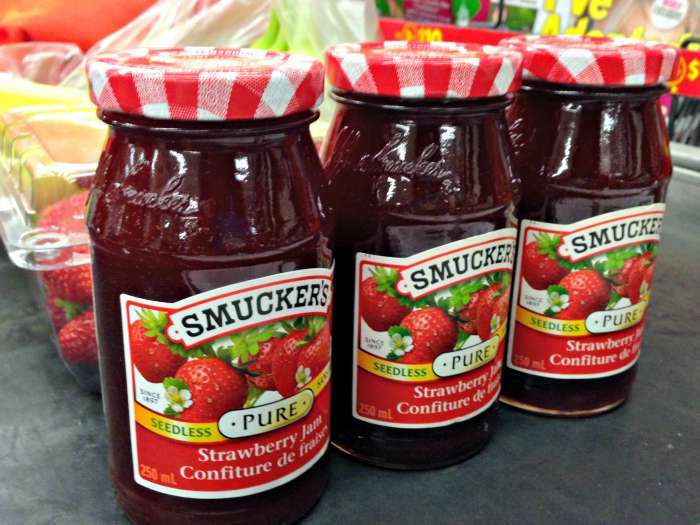 Thank you to Smucker’s for sponsoring this post. All opinions, as always, are our own. It’s been a busy summer, and we’re trying to squeeze in the most fun possible in the remaining weeks. 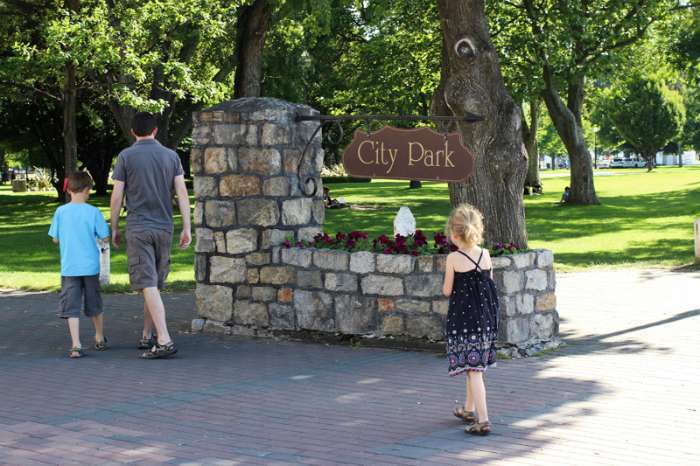 We’ve been heading off to the park and the beach, and getting together with family and friends. So, as the designated go-to snack person, I’ve been in charge of making sure we have yummy treats for our summer Snackation. 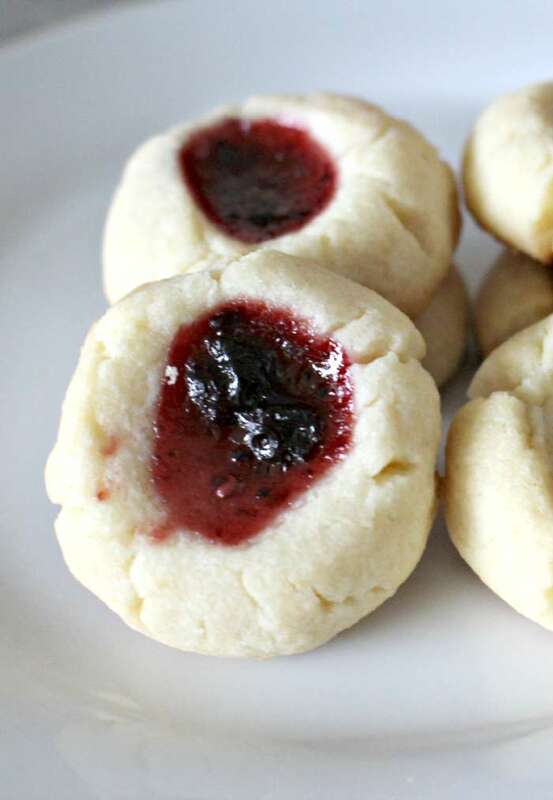 These yummy five ingredient strawberry jam thumbprint cookies are one of our family’s very favorite Snackation solutions. They’re easy to make, easy to take wherever we go, and most importantly, they’re full of Smucker’s Strawberry Jam deliciousness. Since The J.M. Smucker Company recently asked me to create some unique tips for summer Snackation, I thought these would be perfect to share. This meant a trip to Walmart, my favorite Snackation destination, to stock up on go-to summer snack solutions. I love that Walmart gives this busy Mom so many summer snack solutions in one place. Mix the butter, white sugar and egg yolks. Add flour. Roll dough with your hands into 1 inch balls. If your cookie dough is too soft to work with easily, pop it in the fridge for half an hour. Place balls 1 and 1/2 inches apart on an ungreased cookie sheet. 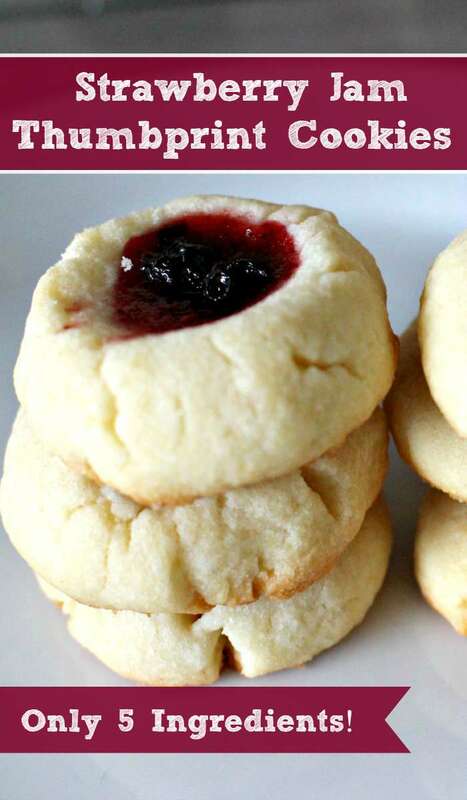 Use your finger to make an indent in the center of each cookie. 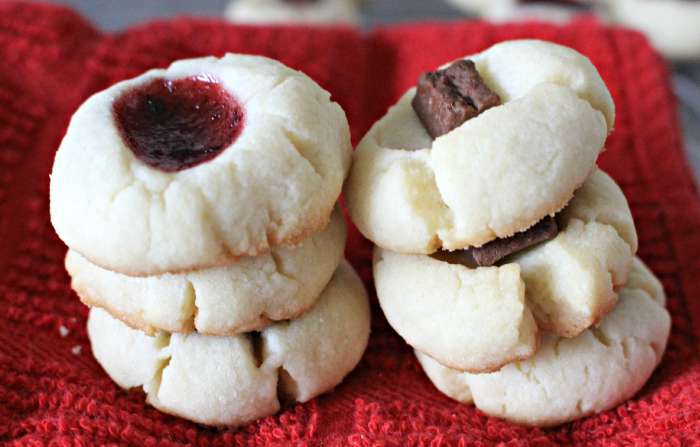 Fill the hole with 1/2 tsp of Smucker’s Strawberry Jam or a chocolate chunk (or both). Thanks so much, Kira. 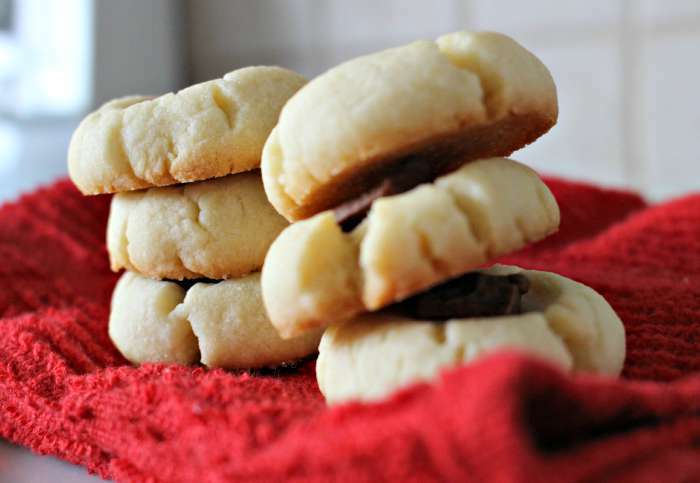 They’re one of my favorites because they’re so quick (and yummy). So easy and scrumptious, yet also exceptionally quick to make. I love these! Heavenly cookies. Thank you so much! I’m so glad you like them; they’re absolutely one of my favorites! great cookies! Thanks so much! Thank you! These are scrumptious!! Easy to make too! These will be in my rotation.